Hyun Ju Kim (ex-media) (b.1973~) is a media artist working and living in South Korea. Kim’s work varies from experimental video, computer-generated images, robotic art as well as interactive installation. 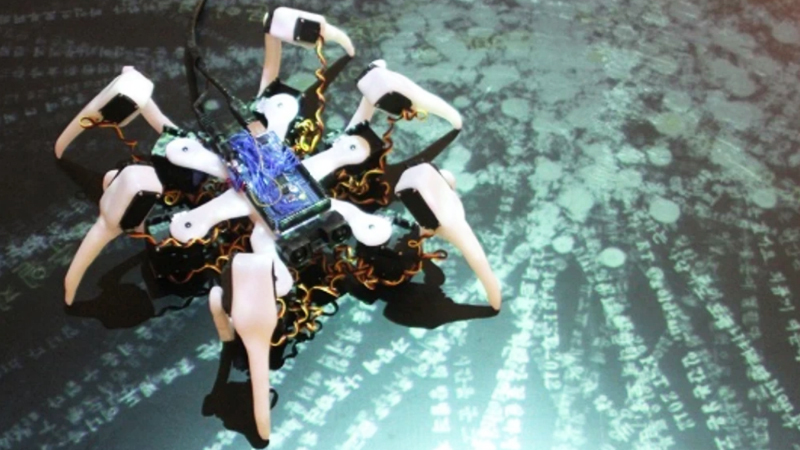 Her computer interactive installations and performance projects deal with posthuman conditions in the techno-cultural society, exploring the notion of identities in such an environment with ubiquitous digital technologies. Her works have been exhibited nationally and internationally, including “Digifesta” at the Gwangju Biennale Hall (Korea, 2010), “Continuum” at the George Segal Gallery( NJ, 2009), ImageMovementSound Festival (NY, 2005 ), Sixth International Digital Art Exhibit and Colloquium(Cuba, 2004), Toronto Online Film Festival(Canada,2002), International Audio Visual Creation Festival of Navarre (Spain,2002) and ”Media[Less] Medium” at the Boston Center for the Arts(MA, 2002). Kim has won first place in the juried exhibitions at the 119 gallery (MA, 2008) and Ciao gallery (WY, 2009). Kim has been involved in initiating Artbotics program, an interdisciplinary project combining art and computer science at UMass as well as a local museum and a high school which is funded by the National Science Foundation(2006-9) and also by the National Endowment for the Arts in US(2009). She is also the final grant recipient of “Science Meets Arts” Fund by the Korea Foundation for the Advancement of Science & Creativity(KOFAC), 2010. 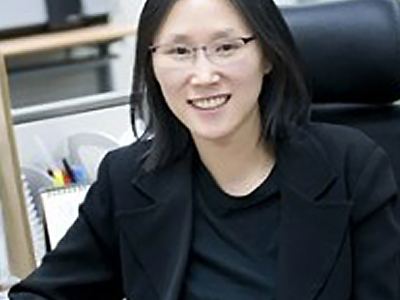 Kim studied Industrial Engineering in Pohang University of Science and Technology and got her MFA at the Computer Art at the Transmedia Department of Syracuse University. Kim is currently teaching media art at the Seoul Media Institute of Technology (aka Korean German Institute of Technology)(South Korea), also previously in University of Massachusetts Lowell(USA). She is also the director of Expanded Media Studio, a visual & media art research group at SMIT. TweetBot v.1 deals with the matter of emotional conditions in the world of these days’s cybernetic social network service. The anemia of countless web of “friends,” “contacts,” “followers,” or “linked people” in the Social Network space such as Twitter. Facebook, LinkedIn, creates the illusion of the abundance of relationships in our networked life. However, the loneliness inside us never goes away. We constantly wait until someone reaches us. We search whom to chat, and whom to connect with, which sometimes gives us deeper dissatisfaction and loneliness.